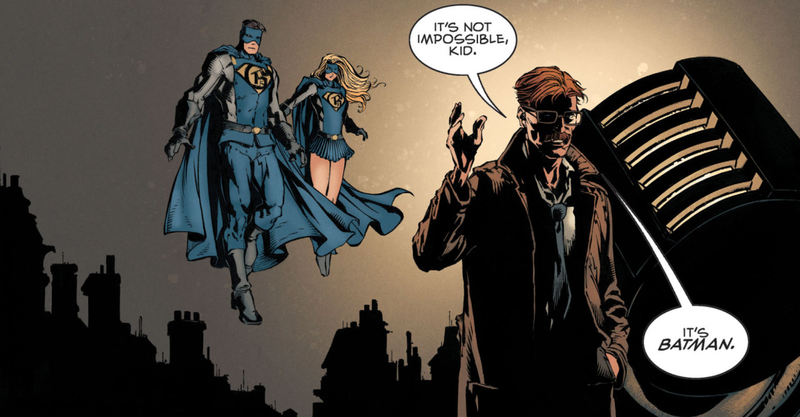 Graduating from Nightwing to Batman, Tom King may have written one of the greatest Batman stories of all time in I Am Gotham. A while back I covered Tom King’s Vision, which I proclaimed as one of the greatest interpretations of a B-list superhero (get the full story here). However, what happens when you take the same writer that worked on a wacky, inversion n of the super hero genre and plonk him on the most mainstream book in the whole industry. Batman. Every writer on Batman has their own unique take on the character, so what does Tom King have to say about Batman? To answer that I’ll take you through the first issue of the arc. Batman Issue One sees Batman dealing with a 9/11-esque aeroplane attack. The entire issue follows Bruce using every trick he has to deal with the attack while meditating on the nature of his duty. In this moment we see Batman realise that he cannot possibly stop the crisis as he’s just a man. But then he works out a solution that will result in his death but save Gotham. Needless to say, Bruce takes it without a moment of hesitation. As he resigns himself to death, Batman is saved by two new heroes Gotham and Gotham Girl, protectors of Gotham City with pseudo-Superman powers. This leads to a series that examines what it is to be a hero and what separates Batman from other heroes. It’s dark, smart and a must read for every Batman fan plus David Finch’s clean-cut art style is beyond brilliant. I’ve got a few words left so I’ll just say this: Silence of the Lambs meets The Karate Kid …what more could you want? Also if you want daily BS remember to sign up for emails or follow with your WordPress account.